This is a video showing how I turn a 27 inch TV into a small box of the most reusable components. Yes there are a lot more parts you can salvage from such a TV but in this case I needed to get the TV out of my lab so I just chopped out the best bits that I know I’m always looking for when building projects. 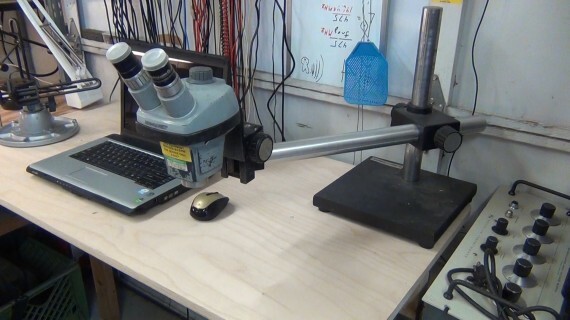 Using a metal shears makes short work cutting the printed circuit boards (PCBs) and extracting just the components of interest. 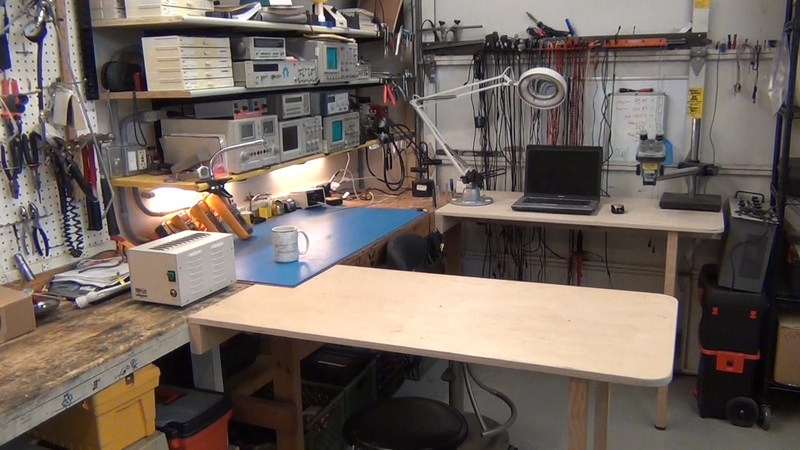 The de-solder work can be done when I need the part(s) or on a rainy day with more time. 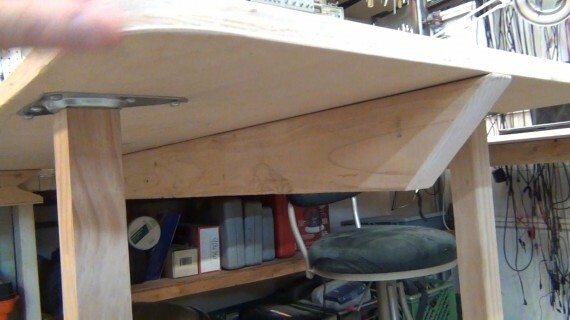 I built some simple add-on bench tops that attached to my small workspace lab bench which more than doubles my bench top surface area. 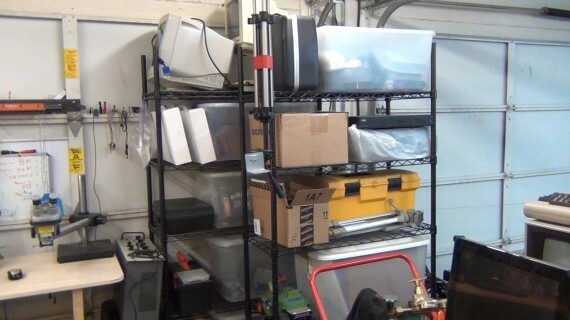 The tops are easily removed if I need the space in my garage. The tops are cheap $18 finished project panels 3/4 in. x 2 ft. x 4 ft. pine birch from Home Depot (Store SKU # 958751). The standout legs are $6 finished 2 in. x 2 in. x 6 ft. radiata select board (Store SKU # 532157). The legs are attached with $3 leg attachment kits called Heavy Duty Top Plates (Store SKU # 779225). Everything else is just glue, screws and scrap 2×4 materials. Total cost with tax $68. The 5-Shelf Wire Storage Unit was $70 at Home Depot “HDX 36 in. W x 16 in. L x 72 in. H” (Store SKU # 401454) and I got the wheels separate for $20 “HDX 4 in. Industrial Casters with Bumper (4-Pack)” (Store SKU # 563065). I got the Bausch & Lomb stereo microscope with boom stand second hand for $100. I found the barlow “0.5 X CAT. NO. 31-26-18” lens on eBay for $36. Let’s set the scene. It is Thanksgiving Day, the table is set, the food is ready, and your wife breaks two cork screw pullers in the cork of the wine bottle. How do you get the cork out without digging it out and making a complete mess? Solution: Simple! Use three rolls of electrical tape, lockjaw pliers, one extra large adjustable wrench and a crowbar. 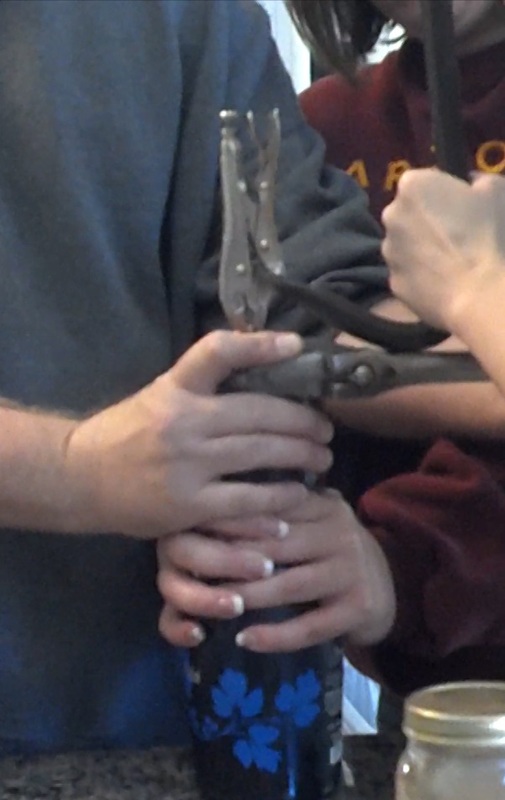 Clamp the locking pliers onto whatever remands of the broken cork screw. 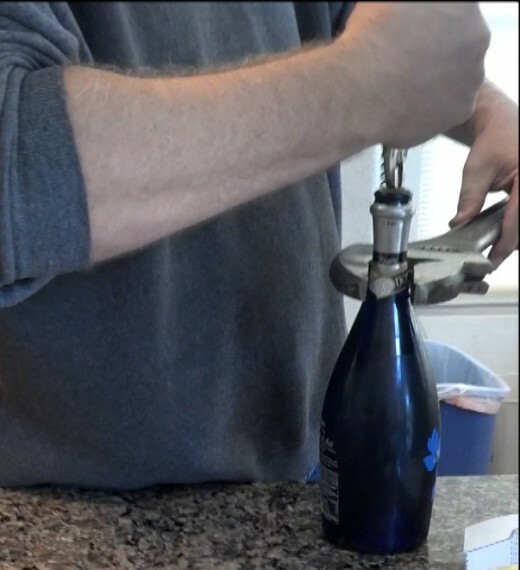 Then find three people crazy enough to cooperate while one person levers up on the pliers using the crowbar resting on the wrench around the neck of the bottle. So crazy it had to work. You are currently browsing the ToddFun.com blog archives for February, 2014.